Capt. 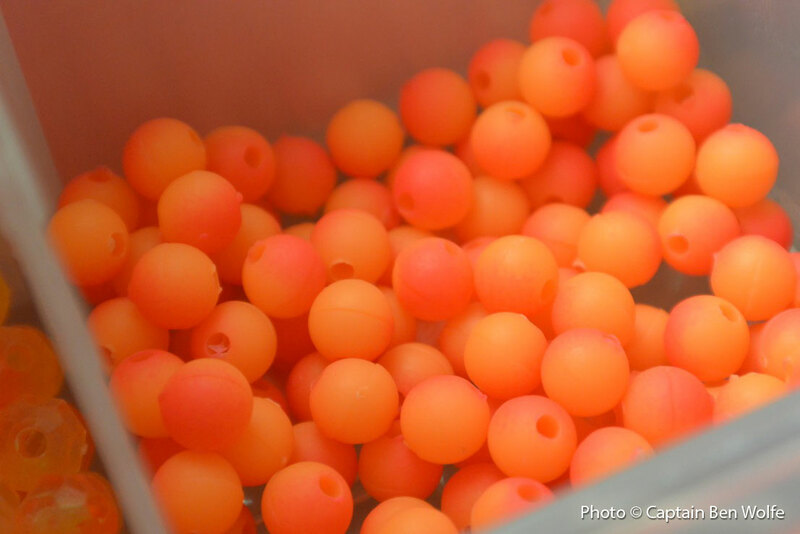 Chad Dilts shares a tip on bottom bouncing for salmon, steelhead, and brown trout. Get Out, Get Bit! With Sport Fish Michigan. Your source for the top fishing guides in Michigan. Creating Sport Fish Michigan has been a tremendously rewarding journey, and to see it come together has been awesome and humbling. Sport Fish Michigan started out as a way to attract attention from search engines for my Traverse City Bass Guide Service and Manistee River Salmon Guide Service businesses. It has since grown to be so much more – a network of the top Charter Captains and Guides in the state, and I could not be more proud. Sport Fish Michigan, or SFM as I call it, now features some of the top Guides and charters around Michigan, all of whom I know personally. As SFM began to grow out of its humble web beginnings, I added friends of mine that were Captains and Guides, with the idea that we would share referrals to each other. We’re still small, but strong. And we are growing! SFM features Guides and Captains that specialize in almost every species that anglers want to target here in Michigan. King salmon, coho salmon, atlantic salmon, smallmouth bass, largemouth bass, steelhead trout, brown trout, brook trout, rainbow trout, walleye, lake trout, perch, muskies, pike, panfish, and even some less commonly targeted species like carp, gar, catfish, and burbot! All of these species thrill anglers of all ages! 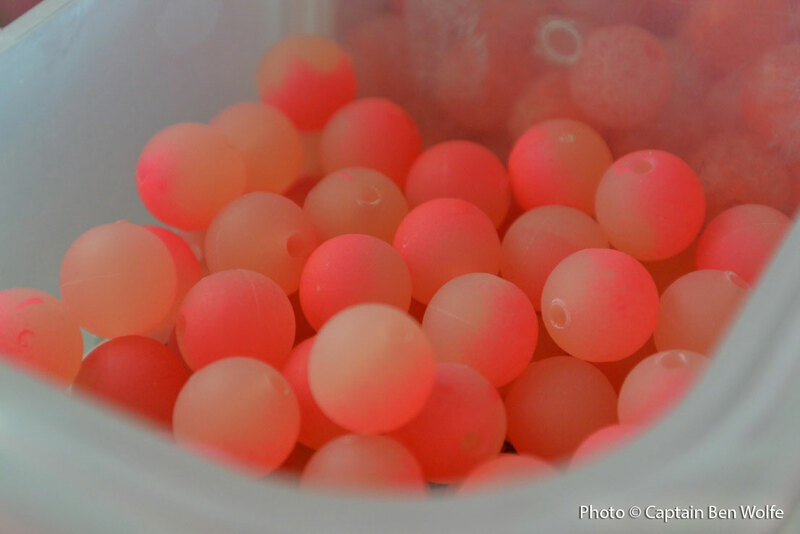 Not only do our Captains and Guides know how to target an angler’s species of choice, we have built a network that can facilitate an angler catching their preferred species using the techniques that they prefer. 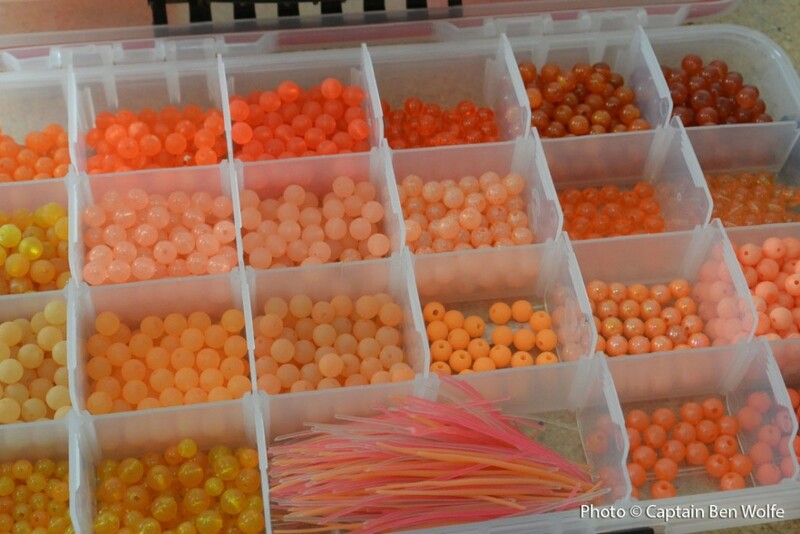 Casting artificial baits, vertical jigging, fly fishing, trolling, or casting live bait—SFM’s Captains and Guides have the knowledge and the boats to accommodate just about anything a customer could want. Michigan is blessed with an incredible number of lakes, rivers, and streams, and most of these are clear bodies of water that were glacially formed. With such a variety of fish species to choose from, and with such a vast choice of waters to fish in, it can be hard to narrow down which guide to choose. All guides look good on a web site full of pictures. My intent with SFM was to create a top-notch referral service that would take the guesswork out of who to book on certain bodies of water. Sport Fish Michigan is now even a sponsor of the very popular national television show, Hook N’ Look, hosted by renowned bass professional and retired tournament angler, Kim Stricker. Sport Fish Michigan is even sponsoring a local Traverse City high school bass team, encouraging the sport of bass fishing and the youths that enjoy fishing. Traverse, Northern Michigan’s Magazine had their annual Red Hot Best poll a few months back, and this year saw a couple of new categories, including the best Charter Boat Captain. The list of nominees and write-in candidates grew to an impressive length, as northern Michigan has world-class fisheries. There are lots of area guides and charters to choose from. I was lucky enough to be one of those nominated, and it was exciting to learn a month or so ago that I was one of the 3 top voted for in this new category. With the June issue on newsstands, it is an absolute thrill to finally let the cat out of the bag! Of the top 3 spots, I am actually the only Charter Boat Captain that offers fishing trips! That was a shock to me, considering how many well-established fishing charters there are in northern Michigan. Hats off to Chien Nowland of the Nauti-Cat for garnering the top spot in this category, and to Chris West of the Ugly Anne up in Mackinaw City as well. Chien and Chris are both terrific operators of water cruises, taking customers sight seeing and sunset cruising in style. It is, without doubt, a tremendous honor and source of pride to be in the top 3, and especially to be the only fishing charter Captain. I would like to sincerely thank all of those who voted in the Red Hot Best poll. Thank you to each and every one of my customers who have fished with me or one of my esteemed Sport Fish Michigan Captains and guides over the years, making each trip special and memorable. 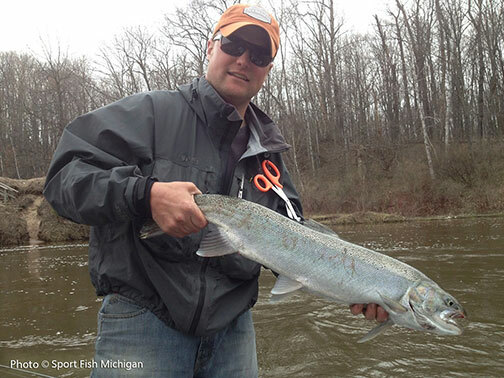 Many photos from our trips grace the web sites that make up Sport Fish Michigan. I would also like to thank my other Sport Fish Michigan Captains and Guides, and those that have helped us along the way. This honor isn’t just for me—it’s for all of us. We did it together. Thank you for all of your hard work, dedication, and for working together to make something great! Recognition – at last! And every bit of it deserved! Bassmaster Magazine and Bassmaster.com, the publications of B.A.S.S. just published the 2014 listings of the 100 hottest fisheries on the planet, and it feels like redemption for those of us that fish Grand Traverse Bays. Coming in at number 9 on the list of best fisheries, Lake Michigan’s Grand Traverse Bay even topped last year’s champ: Lake St. Clair. Now that’s what I’m talking about! Last year’s list lumped the entirety of Lake Michigan together, glazing over the very distinct bass fisheries that different areas of the lake have to offer. This year, two of the top ten spots went to Lake Michigan bass fisheries. This distinction provides Lake Michigan with the recognition it deserves. Five of the six Michigan lakes named are in northern Michigan, with Lake St. Clair as the only exception. 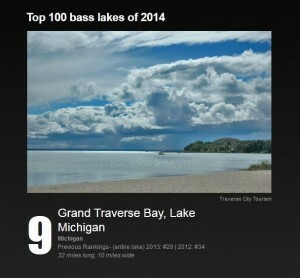 With 5 of the top 100 best bass fisheries on the planet here in northern Michigan, it’s hard to not feel proud as punch to be a bass guide based in Traverse City! This is exciting news to everybody who loves northern Michigan, and has been highlighted on several radio news broadcasts, as well as on the 9 & 10 Television News. On their May 1st Hook and Hunting segment, 9 & 10 News asked me for my thoughts on what this means to the Traverse City area, and what makes fishing on Grand Traverse Bay so special. With water clarity approaching 40 feet much of the year, and an average water clarity around 30 feet in the summer, the Bays resemble waters of the Caribbean. Watching fish swim is often easy to do, and sight casting to cruising fish is something that we can commonly do throughout the year. Burt Lake, Mullet Lake, Thunder Bay, Lake Charlevoix, and Grand Traverse Bays are the 5 lakes located in northern Michigan. Lake St. Clair is the only lake in southern Michigan on the list. All of these fisheries boast phenomenal smallmouth bass fishing, and St. Clair also has a fantastic largemouth fishery. Both water clarity and world-class fishing are what national television fishing shows are looking for, and northern Michigan delivers! With well-known television shows like Hook N’ Look, Zona’s Awesome Fishing Show, The Bass Pros, One More Cast with Shaw Grigsby, Hank Parker’s Outdoor Magazine all regulars, the area has certainly drawn its share of big-time anglers. Babe Winkleman has also filmed his long-time show here, as well. The additional attention brought to the area will help the local economy, through increased bookings for guides such as my own Traverse City Bass Guide Service and Sport Fish Michigan. It will also help other area businesses like hotels, gas stations, fishing license revenues, restaurants, etc. The area is very family friendly, and there are lots to do to entertain the troops when the fishing day is done. Then again, with such good fishing, I’m not sure how somebody could get enough! Wineries, microbreweries, beaches, hiking trails, canoe and kayak rentals, sightseeing, and many other activities are sure to keep families and individuals busy. Choosing what to do is the easy part. Having to choose what not to do is probably the difficult part. Even though Bassmaster ranked Grand Traverse Bay as the number 9 bass fishery on the planet, northern Michigan boasts other spectacular fisheries as well. The entire Great Lakes salmon fishery began just to the south of Traverse City, near the town of Frankfort on the Platte River. The Platte still has a world-class coho salmon fishery, and the king salmon fishing around Frankfort is stellar. Steelhead fishing on the area rivers is a favored past-time of countless anglers. Rainbow and brown trout are also highly sought-after species. In fact, the recent world record brown trout was caught on the Manistee River, just to the south of Traverse City. Lake trout, whitefish, walleye, perch, smelt, and even muskies fill out the impressive list of great angling opportunities in the area, regardless of the preferred method for fishing- be it casting, fly fishing, jigging or trolling. With so many wonderful options in the area, Michigan is a fisherman’s paradise, not just during the warm summer months, but year-round!